Former Wikileaks whistleblower Chelsea Manning is recovering from gender transition surgery. Manning, 30. shared a photo, which shows her lying in a hospital in a gown, on Twitter on Saturday afternoon. 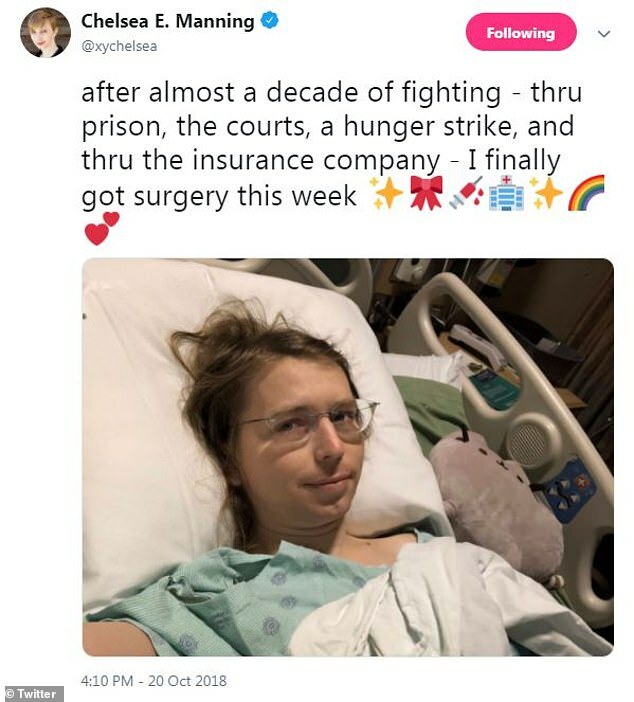 ‘[A]fter almost a decade of fighting – thru [sic] prison, the courts, a hunger strike, and thru [sic] the insurance company – I finally got surgery this week,’ the caption read.